Schoenbrunn Palace, Vienna. Wolfgang Amadeus Mozart started at the top- right in this room in 1762. 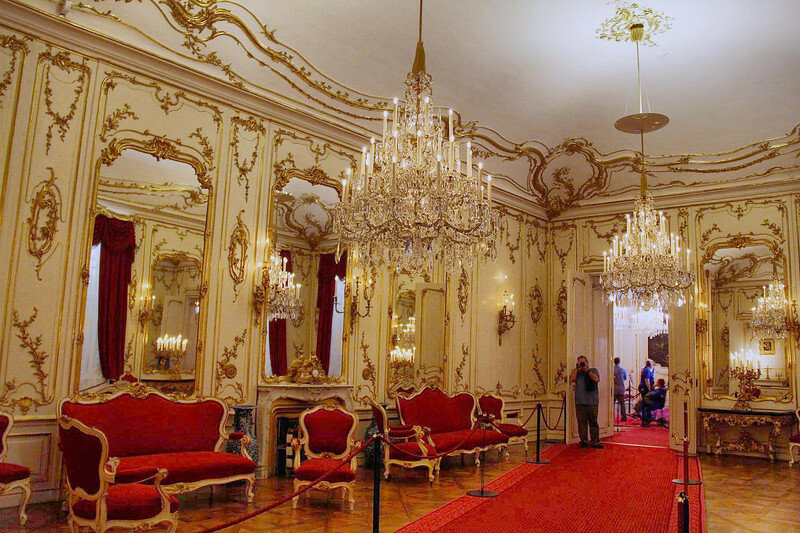 On one of these couches, at age 6, he gave his first public concert (on the clavichord) to the head Lady of the land, Empress Maria Theresa. Word of his prowess spread quickly, and his legend had begun.